Millions of Americans have been greatly affected by the recent hurricanes. From the loss of electricity, flooding, property damage and loss of life, the damage has been devastating. Nashville Wraps cares about our customers, and we want to share your stories about how these disasters have affected your businesses and homes. Nashville Wraps customer’s Sally Marco owns Gratitude in Port Aransas, Texas. Her city is located on the Gulf Coast near Corpus Christi and was one of the areas hardest hit by Hurricane Harvey. 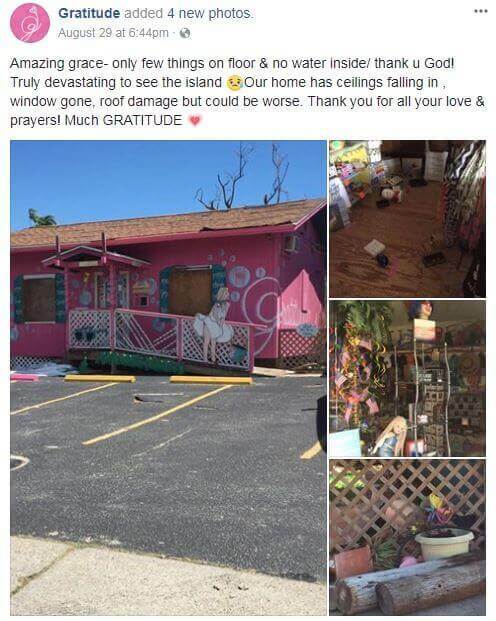 Thankfully, her business only suffered minor damage while many of her neighbors were not so lucky. Her business name aptly explains how she feels – gratitude. In spite of her business being spared, her home has roof and window damage along with ceilings falling in. But Sally remains hopeful and optimistic. 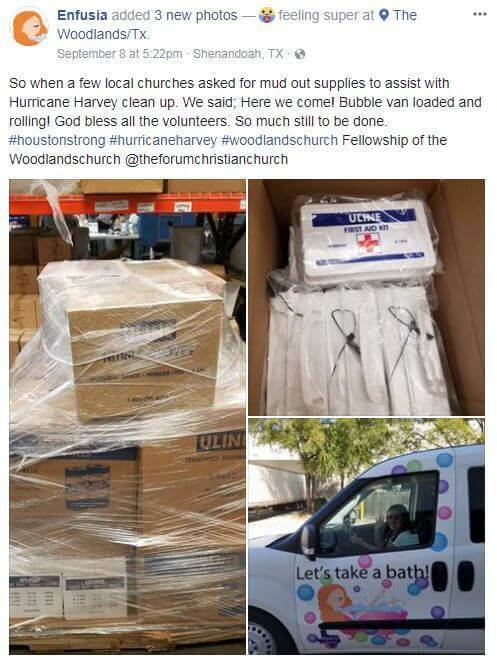 Bath & body company Enfusia in The Woodlands, Texas area was contacted by area churches after Hurricane Harvey. They were able to send mud out supplies to assist in the cleanup efforts. 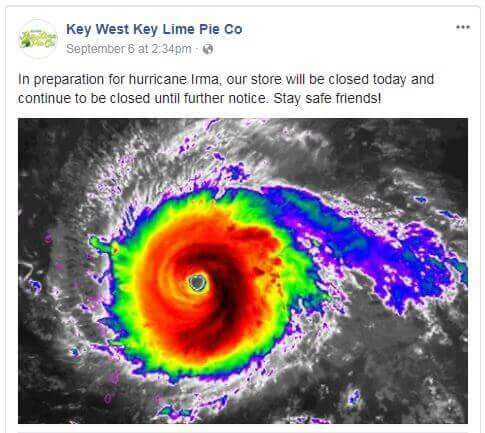 Finally, our customer Andrea Bernal, owner of Ali’s Sweet Treats in Miami, Florida, remains closed because of Irma. 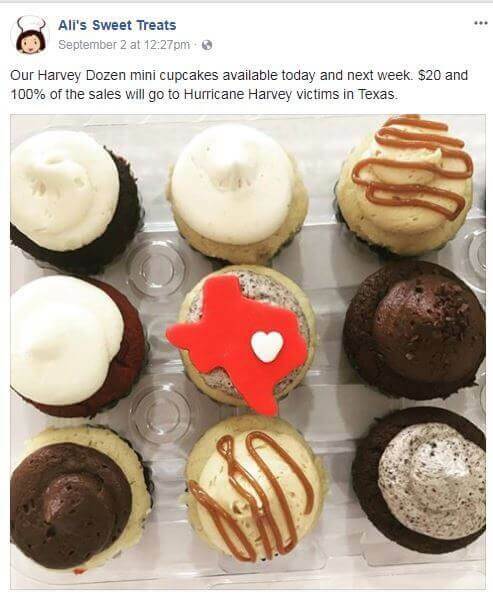 Ironically, she donated 100% of the proceeds from their “Harvey Dozen” earlier this month to victims in Texas. 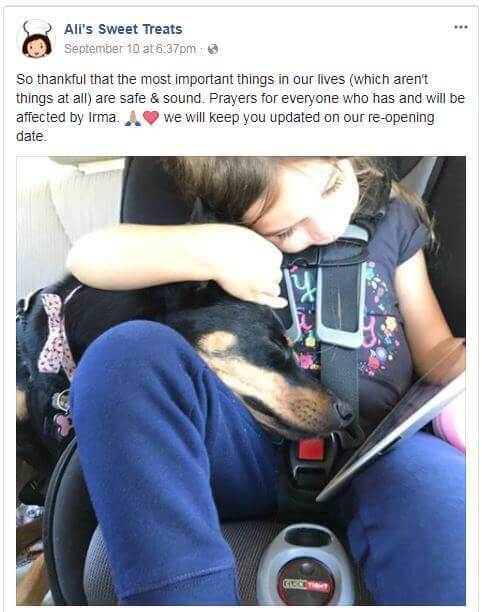 As Andrea’s store awaits reopening, her latest Facebook post says it all. Our thoughts and prayers continue with all our customers affected by these recent natural disasters. Please share your story in the comments below. Living South of Houston Texas….only 15 miles from the coast, Hurricane Harvey lingered for days on end, dumping unbelievable amounts of rain! Out of the goodness of their hearts, so many people, from numerous States and Cities showed up to offer any kind of help we needed! It proves to me, that we haven’t lost the loving kindness of humanity…yet…and Im going to pay it forward in anyway I can! Thanks so much for all you do to help your customers and fellow Americans to make a comeback! 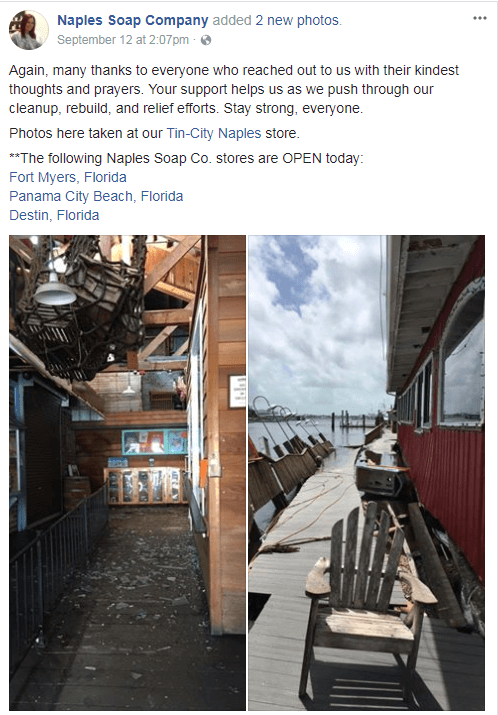 Continued prayers go out to all affected shop owners and their families for a swifter-than-expected recovery while their health continues in good standing. We who have not been affected ought to have no complaints whatsoever about anything, as we have every advantage and responsibility to excel in business and our personal efforts.